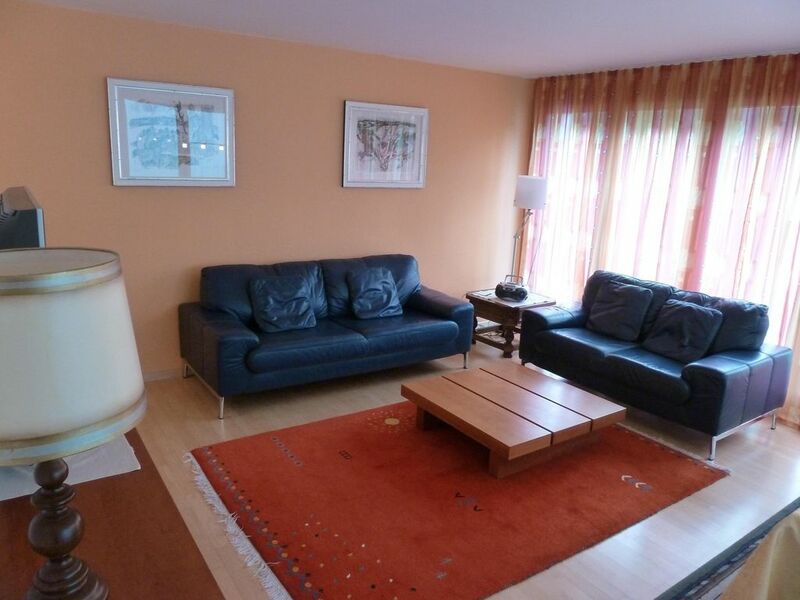 Comfortable 4 star non-smoking apartment with secluded terrace in well-maintained family house. Tranquil location at edge of forest path to Cauma lake and playground. Shuttle bus stop in front of house. Near sport centre, restaurants and shops. Large living/dining room, very well equipped kitchen, 2 bedrooms, 1 bathroom / WC, 1 shower / WC. Flims Laax Falera is on a sunny terrace 1100 m above sea level and is a real winter paradise for Skiers, snowboarders, (220 pistes, 27 tracks), cross country skiers, ice skaters and winter hikers (60 km winter pathways). In summer it's well known for its unique bathing lakes in the lovely Flims forest and the well cared for pathways, from simple ones to some only for experts, in breathtaking scenery. Climbers and mountain bikers come into their own here too. Flims had an excellent tourist infrastructure with plenty of shops, boutiques, restaurants and entertainment for everyone. Golf: New 18 hole golf course in Schluein, approx. 5 min. away from Flims. 18 and 9 hole golf course in Domat- Ems approx. 15 min. 18 and 9 hole golf course in Bad Ragaz approx. 30 min. Ski: Flims Laax Falera is situated on a sunny terrace 1100 m above sea level and is a real winter paradise for skiers, snow boarders (220 m of pistes, 27 tracks), cross country skiers, ice skaters and winter hikers (60 km winter walkways) in lovely Flims forest and the ski district. There's also a romantic cross country ski district in Bargis mountain valley, in Flims, in Sagogn and on the Trins plain.